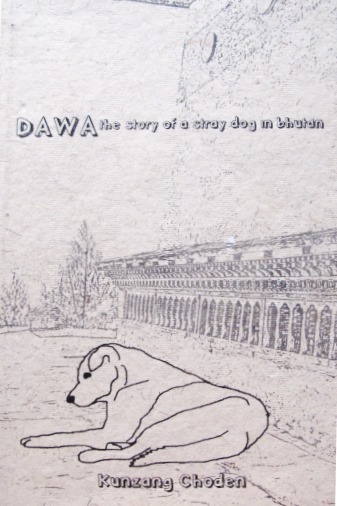 ‘Dawa, the Story of a Stray Dog in Bhutan’ by Kunzang Choden. Reviewed by Don Messerschmidt. Early in the book it is clear that Dawa has unusual powers – of common sense, of right and wrong, and of a certain level of canine authority. He can understand human language (Dzongkha, the main language of Bhutan). And, of course, like the human elites around him, he has to learn the honorific form of the language so that he can understand and perform appropriately in his adopted social milieu. And, he feels compelled to invent a prestigious pedigree, a sign of high status. The one he comes up with links him directly to one of the noble lineages of Lhasa, Tibet. This enjoyable little book (131 pp.) is both written and published by an established Bhutanese writer, in a limited edition by the author (2008, rev. ed.). It is available from Dejung Norbu Enterprise in Thimphu’s ‘Hongkong Market’. For international inquiries contact Tengin Dorji, prop., at dejungnorbuenterprise@yahoo.com. Read more about Kunzang Choden and her other books at: http://www.zubaanbooks.com/zubaan_author_details.asp?AuthorID=16.